The Prickly Hippie is located at 500 US-51 in Ridgeland, Mississippi. Specializing in Cacti, Coffee, & Cakes, there's something for everyone! A great place to purchase house plants, ethically sourced goods, all natural candles and beauty products, and unique boho finds, The Prickly Hippie is perfect for unique and one-of-a-kind gifts. Enjoy a specialty latte or homemade pop tart while browsing the eclectic storefront. 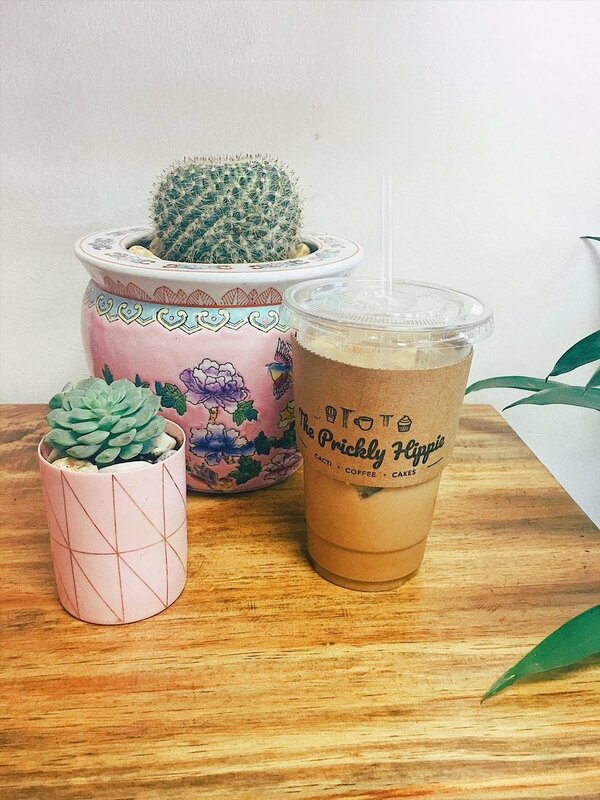 Not only a place for lovely goods, The Prickly Hippie is also a coffee & bake shop. Check out our menu to learn more about the yummy treats we offer daily. Are you throwing an event or wedding soon? The Prickly Hippie is known for gorgeous, unique floral arrangements & custom cakes & baked goods. Send us a message anytime if you'd like to inquire about our event services! Closed on Sundays, The Prickly Hippie is a great rental space option for Sunday brunches, baby/bridal showers, & small workshop/training days. We will also be hosting our own workshops monthly, so keep an eye out to reserve a spot in our super fun and unique classes!